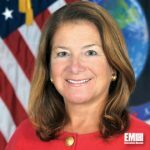 Letitia Long, former director of the National Geospatial-Intelligence Agency, has joined the board of directors of Raytheon (NYSE: RTN). Long has held leadership roles within the Defense Department and the intelligence community for 32 years, Raytheon said Friday. She served as deputy director of the Defense Intelligence Agency and previously as deputy undersecretary of defense for policy, requirements and resources before she joined NGA in 2010. Thomas Kennedy, Raytheon’s chairman and CEO, said Long’s background in intelligence and security affairs “will be of great value” to the company’s board. Long is also a member of UrtheCast’s board of directors and Noblis’ board of trustees.